The Toronto Blue Jays are a big part of what stands between the New York Yankees and another American League East division title. The Yankees will try and dispatch their division mates to the north en route to another postseason and they'll get help from an old friend who returns to start Tuesday night. The Yankees are 6-5 against a weak Toronto team this season, with seven games left in the season series. The Blue JaysÂ come in with nothing to play for other than personal pride and the chance to give their fans something to cheer about by putting a dent in the Yankees' postseason hopes. Toronto will trot out two left-handed pitchers against New York, hoping to see see the Yankees' weaker "B" lineup that is filled with hitters the likes of Steve Pearce and Andruw Jones. The Yankees have mostly struggled against southpaws over the last two months, as evident by their weak performance against Felix Doubront at Fenway last week. The Bombers rebounded nicely on Sunday at the Stadium by destroying highly-touted Tampa Bay lefty, Matt Moore, frustrating him through three innings and even agitating the young fireballer into throwing at Curtis Granderson's head. Toronto, like all of the AL East teams, have been greatly impacted by injuries and itâs shown in their record.Â Toronto has been without star Jose Bautista since late August, though Bautista has played only six games in the 2nd half of the season. Bautista injured his left wristÂ while at the plate on a swing back in mid-July against New York. Brett Lawrie, Adam Lind and JP Arencibia have all missed large stretches of time during the second half of the season, eliminating the Jays from playoff contention for a 19th consecutive season. Toronto is hobbling to the end of the season and their pitching staff is practically praying things will end. Toronto ace Ricky Romero has endured a disastrous 2012 after getting off to a very nice start in his first three MLB seasons. Henderson Alvarez, Wednesday afternoon's starter, has been up-and-down of late, showing the inconsistency of a young starter. Yet for all of Toronto's faults, they're still incredibly fifth in the majors in home runs. The Yankees should not take them for granted, particularly big sluggers like Edwin Encarnacion, Brett Lawrie and Colby Rasumus. The Yankees are hoping to pounce on their prey and beat down the Jays at the Stadium continuing to build on the last two series victories. Curtis Granderson, Russell Martin and Alex Rodriguez have come alive for the Yankees at the right time as they near another AL East division crown. The Yankees are hoping to gain ground onÂ BaltimoreÂ and Tampa and find a late season surge while Toronto is playing out their slate of games looking to see what players may be contributors or starters for their squad in 2013. The New York Giants travel to Bank of America Stadium to take on the Carolina Panthers on Thursday night in a game that will set the tone for the NFL's Week 3 schedule. The NFC is deep this year, so every game matters. Both teams are coming off hard-fought victories and would do well to escape this week with another win. While a loss at this point certainly doesn't derail either team's chances for the postseason, jockeying for position could be a key storyline all year long. New York is one of the more perplexing teams in the entire NFL. The Dallas Cowboys stole one in the Meadowlands in Week 1, and the Giants needed a 28-7 second-half run to knock off the Tampa Bay Buccaneers at home last week as well. The Giants are known as slow starters. But to stay afloat in the NFC this season, they will have to find a more consistent brand of football. The Panthers employ one of the more dynamic players in all of football. Second-year quarterback Cam Newton can do it all and is doing his best to dispel any notion of a sophomore slump. This game will be fun to watch and is a great way to kick off this week's matchups. Eli Manning is in the midst of his methodical ascent to being recognized as an elite quarterback in the NFL. Even after two championships and countless defining moments, many still question his ability toÂ stay atop the mountain with the likes of Tom Brady, Drew Brees, Aaron Rodgers and even his brother, Peyton. Last week's 510-yard and three-touchdown performance will be accompanied by the fact that Manning played a huge part in allowing the Giants to get down 27-13 early in the third quarter to the Buccaneers by also throwing three first-half interceptions. While Carolina's defense doesn't necessarily give up too much in the passing game, a struggling Brees was able to throw for 325 yards last week. Thursday night's game could become a shootout. And with the Giants hobbled in the running game, look for Manning to use his arm to keep his team close again. The Panthers would not make the same mistake twice in their 35-27 victory over the Saints last week. Carolina only ran the ball 13 times for 10 yards in Week 1's 16-10 loss to the Buccaneers, but Newton and Co. ran wild over New Orleans to the tune of 41 rushes for 219 yards and three touchdowns. While those numbers can't be expected on a weekly basis, the Panthers may have found their recipe for success this season. And a middle-of-the-pack Giants run defense will pay the price this week. 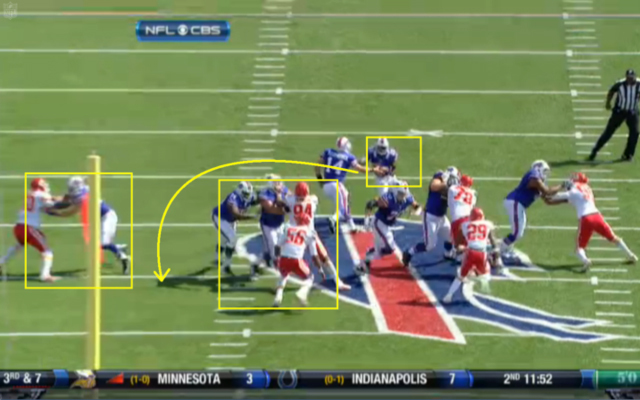 Newton is a great runner in his own right when plays break down. But when teams also have to try to stop Jonathan Stewart and DeAngelo Williams, the advantage sways in Carolina's favor. Contact Jeremy atÂ jeremy@popflyboys.com, on TwitterÂ @KCPopFlyBoy and atÂ popflyboys.com. After their Week 1 blowout loss to the New York Jets, many Buffalo Bills fans were already hitting the panic button.Â Â TheyÂ were understandably pessimistic after such a shaky start to the season.Â So why should they not worry so much after that performance? The Bills redeemed themselves this past Sunday with a convincing 35-17 win over the Kansas City Chiefs.Â Buffalo sits like 20 other teams in the NFL at 1-1. Despite that impressive victory, question marks still remain for Bills fans who aren't sure what 2012 may hold for the rest of the season. Did the Jets game highlight a secondary that can't be trusted and is the weakest link on the defense? 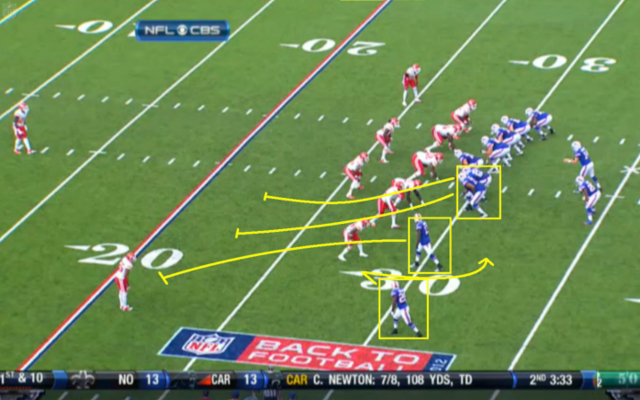 Or did the Chiefs game showcase a running attack that is one of the most explosive in the NFL? Let's take a look at four reasons Bills fans shouldn't fret about the rocky way the season has started after two games. Spiller is averaging a ridiculous 10.1 YPC. Buffalo isÂ blessed with one of the best RB tandems in the NFL. When healthy, Fred Jackson and C.J. 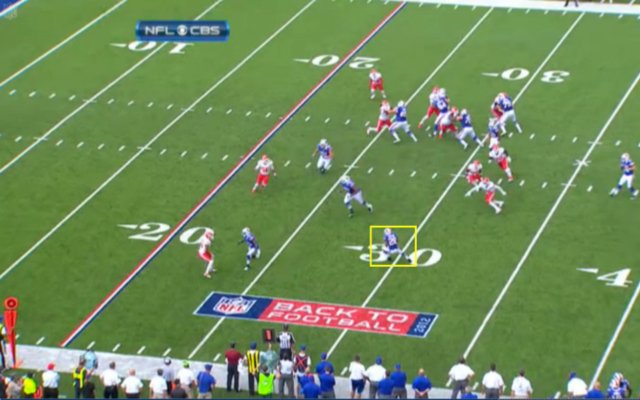 Spiller allow the Bills to keep opposing defenses off guard. However, health has been a major issue for Jackson lately. He missed the last six games of 2011 and got hurt in the opener against the Jets. As we prepare for Week 3, he sits atop the rushing leaders of the league. It's not even close.Â Reggie Bush is in second place, and heÂ has 51 yards less. Spiller is knocking on the door of stardom after two weeks. 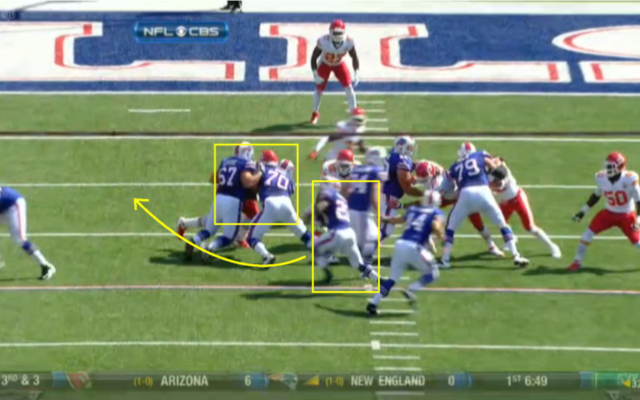 The Bills need to realize this and not relegate him to a third-down back once Fred Jackson is ready. 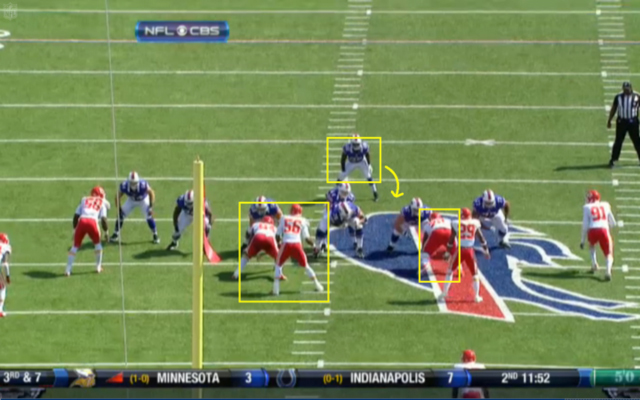 Kyle Williams sacked Matt Cassel twice in the win over the Chiefs. Buffalo's D had nowhere to go but up after the no-show they pulled at the Meadowlands.Â Giving up 48 points to a mediocre Jets offense was not exactly what they had in mind to start the season. Now, while the Chiefs aren't exactly the San Francisco 49ers of the '80s, they do have more talent on offense than the Jets. The Bills had their hands full with the likes of Dwayne Bowe and Jamaal Charles. They were up to the task, recordingÂ five sacks and forcing three turnovers. 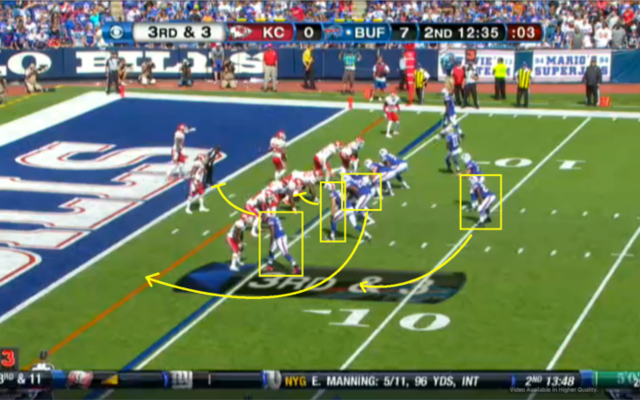 BuffaloÂ heldÂ Kansas CityÂ to three points through three quarters. However,Â the Bills willÂ need Mario Williams and Mark Anderson to contribute if they hope to win on the road in Cleveland this week. This unit will look to have another solid performance against the Brownsâ"a team with one of the worst WR groups in the AFC. The Bills will face Trent Richardson and the Browns in Week 3. Analyzing schedules, especially this early in the season, is problematic. According to their opponents' records in 2011, Buffalo has the third easiest strength-of-schedule in the NFL. What isn't left up to interpretation, though, is that the Bills onlyÂ have three games against top-20 QBs. Two of those are vs. Tom Brady (the other is Matt Schaub). What that should mean is that Buffalo is in every game. Brady is the type that can get himself a 21-0 lead before the first quarter is over. But in 13 out of 16 games, in theory, the Bills shouldn't be in a situation where they're getting blown out. Until Ryan Fitzpatrick performs better, the Bills are going to have to rely on their running game and defense. That again points towards closer, lower-scoring games. 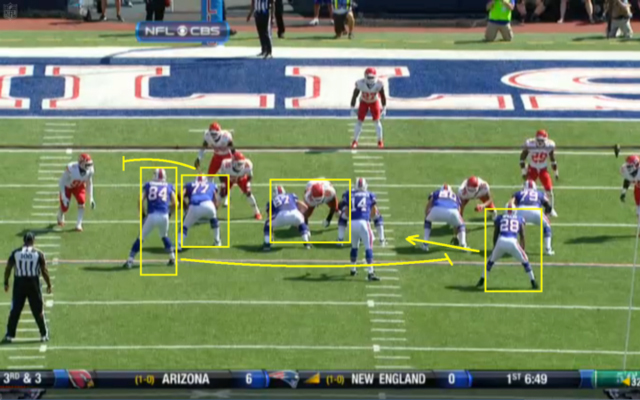 Marcell Dareus has become a force in the middle for the Bills. Everyone that plays in Buffalo knows this franchise hasn't had a playoff berth since 1999.Â That pressure alone seems daunting. Most of the talentÂ Buffalo hasÂ is young too. So, with that inexperience, you're bound to have mental lapses and mistakes. Nothing some good coaching can't fix, though. All in all, the Bills have difference-makers on both sides of the ball for the first time in over a decade. Talent can often overcome sloppy play. In the NFL, the difference between good teams and elite teams is talent. What Buffalo needs, however, is for that talent to bring it every single week. That was clearly missing against the Jets. So the question remainsâ"can Buffalo put everything together this year to become one of those elite teams? If these four factors stay true, the answer to that is yes. Buffalo Bills: Like this team? Tuesday night was supposed to be a homecoming on several levels. Obviously, the return of Andy Pettitte after a shattered ankle would bring the fans to their feet in support of the gutty veteran. But even more importantly, for the first time since mid-June the starting pitching staff would stand firmly intact and injury free. However, Mother Nature had different plans and steered gusty winds and torrential downpours toward the sky above Yankee Stadium. Pettitteâs return would have to wait until Wednesday in the first part of a day-night doubleheader. During their August and September swoon, fingers have been pointed in several directions on the Yankees roster to identify the detrimental causes, including the starting pitching. Plagued by massive inconsistency and an ever shuffling rotation, the Bombers never seem to hit that stride to run with confident momentum. But now it appears the gang that couldnât shoot straight has all their weapons right where they want them. Standing in as the Rock of Gibraltar has been the freshman Yankee, Hiroki Kuroda. If someone were to say this in April or early May, they would have been met with a roar of laughter as the former Dodgerâs performance went up and down between virtually every start. Through it all, the 37-year-old has weathered the early storm and now stands in a 14-10 with 3.26 ERA. With that being said, the lost duo is now a combined 4-1 in their last five starts with an ERA under four in 30 innings pitched. Maybe they are on that long awaited "roll." In Pettitte's absence, veteran Freddy Garcia and rookie David Phelps have been bringing up the rear in the rotation. Neither have dazzled, per se, but both have kept the Yanks in games, and thatâs all a team can ask for in the back of their rotation. Ace CC Sabathia checks in with a 13-4 record with a 3.63 record. At first glance they appear to be quite decent numbers, but with two "precautionary" visits to the disabled list he has never gotten into a rhythm that heâs accustomed to. Even though he has struggled in his last few starts, September and October are the months when Sabathia shines. Letâs just pray he stays healthy. Hopefully, Pettitteâs return can solidify this rotation as the envisioned dream the front office had in the beginning of the season. If thatâs the case, then finally for the first time all season, the Yankees can say their starting pitching is at full capacity. New York's Cappie Pondexter (l.) led all scorers at the AT&T Center with 23 points. SAN ANTONIOÂ â" Danielle Robinson had 21 points and the San Antonio Silver Stars earned a 77-66 victory over the New York Liberty on Tuesday. Shameka Christon added 17 points and Becky Hammon 12 for playoff-bound San Antonio (20-12). Cappie Pondexter scored 23 points to lead New York (14-18), which is fighting for a playoff berth in the Eastern Conference. Essence Carson had 11 points and Kara Braxton 10. The loss snapped a three-game winning streak for the Liberty. New York was outscored 22-9 in the fourth quarter and San Antonio rallied for the victory. Hammonâs 3-pointer gave San Antonio a 60-59 edge, its first since leading 18-16 with nine minutes left in the first half. After a turnover by Nicole Powell, Christon made her fifth 3 of the game to give San Antonio a 63-59 lead with 6 minutes left. San Antonio took a 68-61 lead on Robinsonâs free throw, which completed a 3-point play following a foul by Pondexter. Robinson scored on a fastbreak layup off a pass from Hammon, who stepped into a passing lane for a steal with 3 minutes left. The Silver Stars scored the first nine points of the game on a 3-pointer by Christon and three straight baskets by Robinson. It was the largest advantage either team would have in the first half. Christon made two more 3s to extend San Antonioâs lead to 16-10 with 2 minutes left in the first. New York scored the final two baskets of the quarter to pull within 16-14 entering the second. Carsonâs 3-pointer gave New York its first lead at 19-18 with 8 minutes left in the half. Pondexterâs steal and layup on San Antonioâs ensuing possession extended the lead to 21-18 and prompted a timeout. Hammonâs first basket tied the game at 21 with 7 minutes left. Powellâs 3-pointer gave New York a 29-24 lead. Christon hit consecutive 3s to pull San Antonio within 29-27 and Robinsonâs driving layup tied the game at 29 with 4 minutes left. New York closed the first half on an 8-1 run keyed by a pair of baskets by Plenette Pierson to take a 37-32 lead. Robinson hit a pair of baskets as San Antonio opened the second half on a 6-2 run to pull within 39-38. New York took its largest lead at 47-40 keyed by a pair of layups by Braxton, prompting a timeout by San Antonio coach Dan Hughes. San Antonio responded with an 8-1 run to pull within 49-48 and leading to a timeout by Liberty coach John Whisenant. Danielle Adams tied the game at 53 with a free throw to complete a three-point play after being fouled by Kia Vaughn.